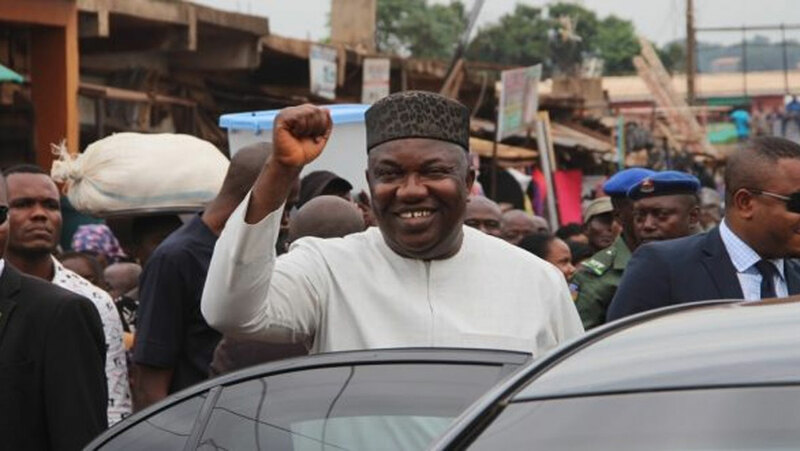 Enugu State governor, Ifeanyi Ugwuanyi, has assured of full implementation of the 2018 budget when passed into law for the benefit of the people.He said year 2018 offers another chance to sustain the tempo of peace and good governance and to build a secure and viable state. Ugwuanyi, who spoke during the new year prayer session at Government House, Enugu, assured that what the government accomplished so far was the least he would give to the people. His words: “We are poised to do even much more this year. A few days ago, I presented the 2018 Budget estimates tagged: Budget Of Sustainable Economic Growth, with which we intend to consolidate the foundation that we have already laid in creating an enabling environment for the full development of our human and natural resources. “We plan to revitalise our social services and build critical infrastructure for sustainable and inclusive development of Enugu. By the Grace of God, we will ensure the full implementation of the budget as passed by the state House of Assembly for the benefit of all.” He, therefore, charged the people to remain resolute in their prayers and continue to work towards the peace and progress of the state. Archbishop of Enugu Ecclesiastical Province of the Anglican Communion, Reverend Emmanuel Chukwuma, who conducted the service, commended the governor for presenting what he described as a realistic budget to the State House of Assembly.He expressed optimism that he (Ugwuanyi) would implement the N98.5billion budget to the letter, noting that while other states budgeted above N100billion, Enugu State considered the nation’s economic reality before it presented a budget that it could implement with the resources at its disposal. He said: “I am happy that members of the All Progressives Congress (APC) had acknowledged that you are doing well. So, anybody who comes to challenge you will fail. Enugu is peaceful, no report of any upheaval, unlike other states where there were killings and pandemonium. “Enugu State is in the hands of God. I was listening to the budget proposal of Enugu State. Other states budgeted above N100billion, but Enugu State budget proposal is N98.5billion. Ugwuanyi is realistic and will fully implement the budget.”While thanking the governor for the passage of Child Rights Act into law, the clergy also commended him for the road projects to improve the people’s living standard, especially the rural dwellers.